We are excited to share news that we’ve attracted veteran sales and key account manager Mark Simchak to its growing team of top industry professionals. 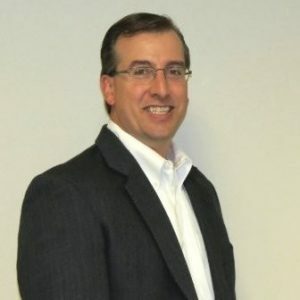 Simchak snaps into place as Dowling’s Business Development Manager, coming most recently from ETA Hand2Mind Inc®., where he oversaw the prospecting and development of key national business-to-business and original equipment manufacturer accounts. Prior to ETA, Simchak spent 17 years managing all national and international accounts, including supervising sales rep groups, account managers, and sales support and customer service teams, at Learning Resources, Inc.®, a leading educational products manufacturer. Simchak’s magnetic personality and “pull” in the marketplace are both strong positives. As Dowling’s Business Development Manager, Simchak will be responsible for maintaining key accounts, growing sales with existing accounts, identifying and developing new markets, and helping to shape Dowling’s overarching sales, marketing, and business plans. An Illinois native, Simchak holds a Bachelor of Science degree in Marketing from Northern Illinois University. He lives with his wife and two children in Island Lake and will be based in Dowling’s Elmhurst, IL office.